Three years ago, I had an idea. It was a big idea for me and I wasn’t sure how to begin to make it real. And I couldn’t get any traction trying to work on it in between all those home and work sort of tasks. It didn’t seem substantial enough to take time away from “real” things needing to be done. Meanwhile, my friend was struggling to find time to write poetry. And so we hatched a plan to go away for a few days and dedicate time to that special project we each had, but couldn’t quite fit into our regular life. We booked a couple of rooms mid-week (more affordable!) at a beautiful bed & breakfast in a lovely setting. My big idea? A small, intimate retreat for women like me. With big ideas and a busy life, needing some dedicated time away with their next special idea. And I mapped it all out while I was away for a few snowy January days in a small inn with a fireplace in my own room. My friend and I met for breakfast and talked about the day. Then we would either settle into a cozy sitting room to write together or set off separately. She was a walker and I am a napper. There was room for both. We’d go out for dinner and talk over how our projects were going. Highs and lows of the day. Frustrations and triumphs. Or just shared how life was going. Imagine a small, cozy group of 6 like-minded women, each with a very special project dear to her heart. 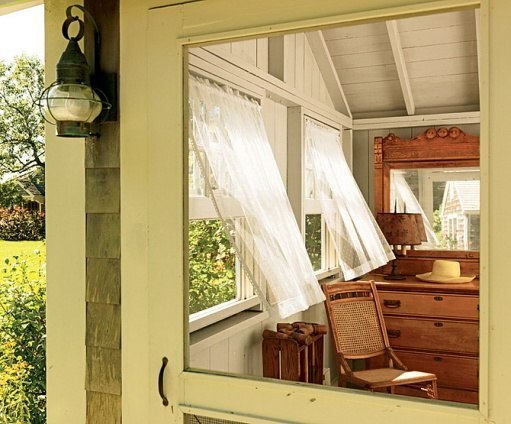 Let’s retreat on Martha’s Vineyard — my favorite place on earth (and my home town). We gather over a home-cooked dinner the first evening around a large dining table. It’s so much easier to meet new people over food, isn’t it? Breakfast the next day is ready when you are – a buffet for either early risers or slow wake-uppers (that one is me). We briefly gather mid-morning and I offer a creative tool or technique, something to start the creativity flowing and help you settle into your project. Then you are on your own adventure for the day. Cozy up in your room, working in your pjs. Or rock on the porch with your laptop. Write on the beach or walk among the gingerbread cottages for some inspiration. Walk to one of the small restaurants in town for lunch. A nap might be an essential part of the day. Snacks are always available, but something special comes out around 3:00. We gather together for dinner and to talk through the day. It’s a mix of quiet reflective time and focused creativity, blessedly alone or in the company of kindred spirits. It’s all up to you. Because we all deserve the time and space to develop our own possibilities. I’d love for you to make your dream come true. Just two open spots remain. Read all the details or take a peek at some photos and see how participants describe it. Joyce wrote a blog post about her experience, as did Sandy.